If you live in North Central Florida and were hurt on the job or suffered an injury or loss as the result of someone else's negligence or wrongdoing, you can turn to the legal professionals at the Musleh Law Firm in Ocala, Florida, for the effective, aggressive legal advocacy you deserve. Led by highly experienced and award-winning trial lawyers Kelly and Victor Musleh, our law firm has become the trusted source for exceptional legal counsel and representation to those facing a scary and uncertain future. For more than 20 years now, we have served the residents of our community by delivering the personalized attention and compassionate counsel they deserve for all of their legal issues involving personal injury, wrongful death, medical malpractice and workers' compensation claims. Working closely with you, we will analyze your situation and offer the solid advice you need to make the best informed decisions about your case. We will then stand by you throughout all legal proceedings to ensure the best odds of you obtaining the maximum amount of compensation and benefits possible. Having recovered millions on behalf of those we have served, we are members of the Million Dollar Advocates Forum, and we are highly active with Florida Workers' Advocates and other prominent legal organizations. Recognized for our impeccable professionalism and exceptional legal abilities, our law firm's attorneys hold top ratings from numerous client and peer review sources, including Martindale-Hubbell, and Florida Trend magazine voted us among the state's Legal Elite. To receive a free initial consultation concerning your situation, you can contact the Musleh Law Firm by calling our law office or visiting our website. Injured in Florida? 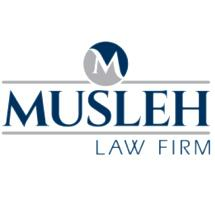 If so, you need the vigorous and successful representation that Musleh Law Firm, in Ocala strives to offer. We stand up for injury victims and their families. If you have been hurt in an accident caused by a negligent driver, it is important to have experienced personal injury attorneys looking out for you. At Musleh Law Firm, in Ocala, it is our objective to be strong advocates for medical malpractice victims. To discuss your potential malpractice claim with an experienced personal injury trial lawyer, contact us today. If you are involved in a dispute with an insurance company, the experienced trial lawyers at Musleh Law Firm, can help you assert your rights. We help average Floridians fight back against irresponsible insurance companies. At Musleh Law Firm in Ocala, Florida, we are ready to handle your workers' compensation and personal injury claims. We understand what it takes to secure settlements through negotiation or trial.